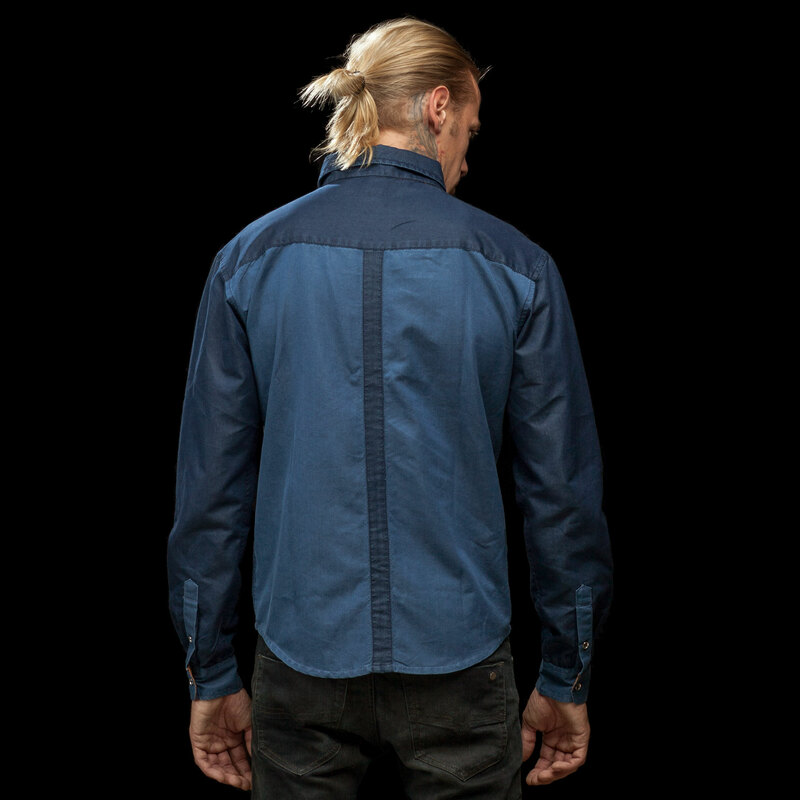 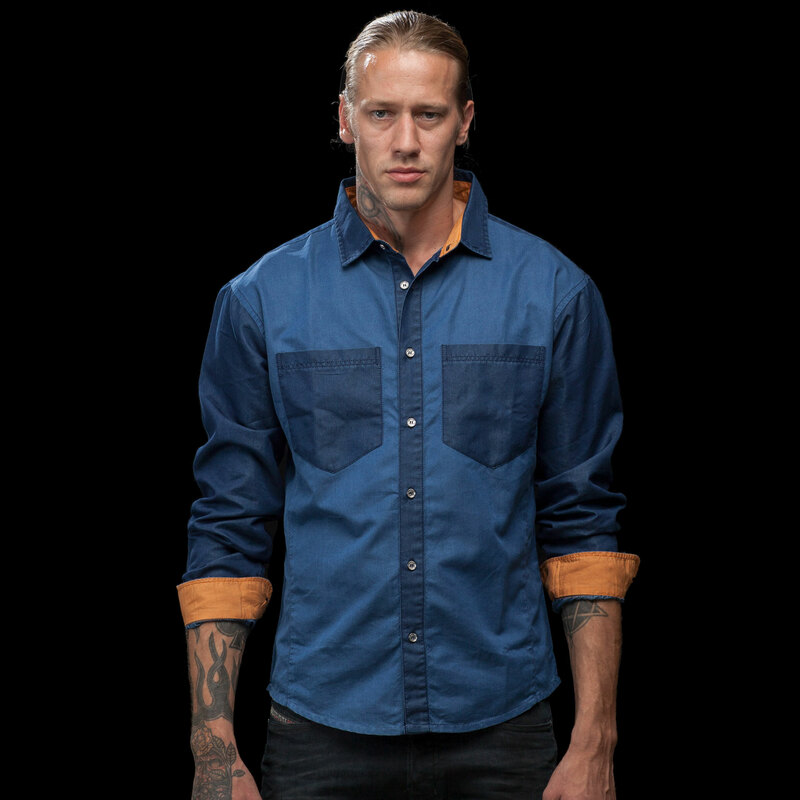 The best of both worlds – that’s what you get with our worker denim shirt. 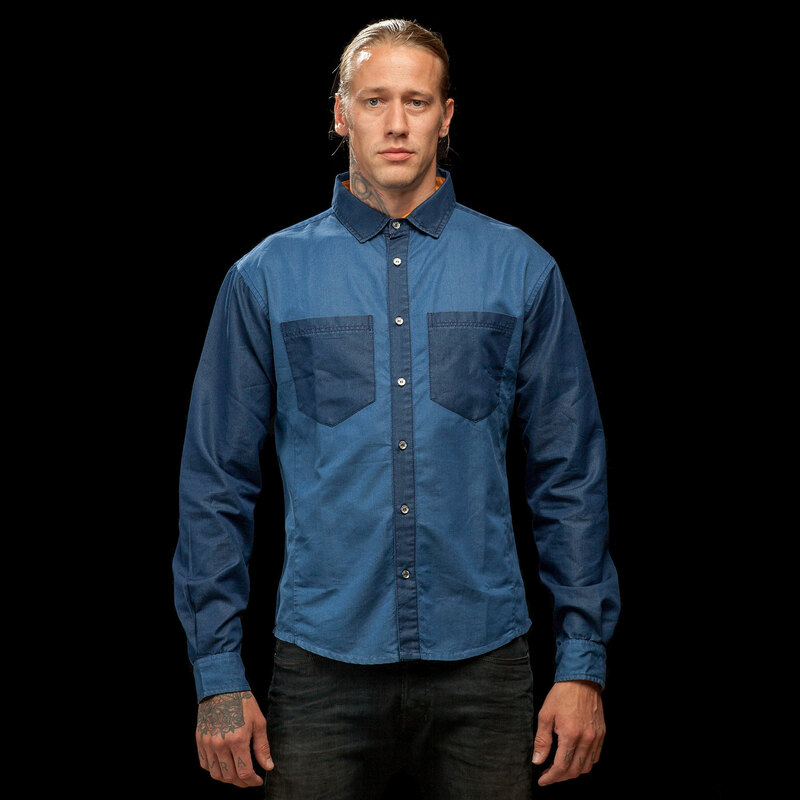 It is crossbred from classical warder uniforms and chambray work shirts worn by inmates in the early 1900s. 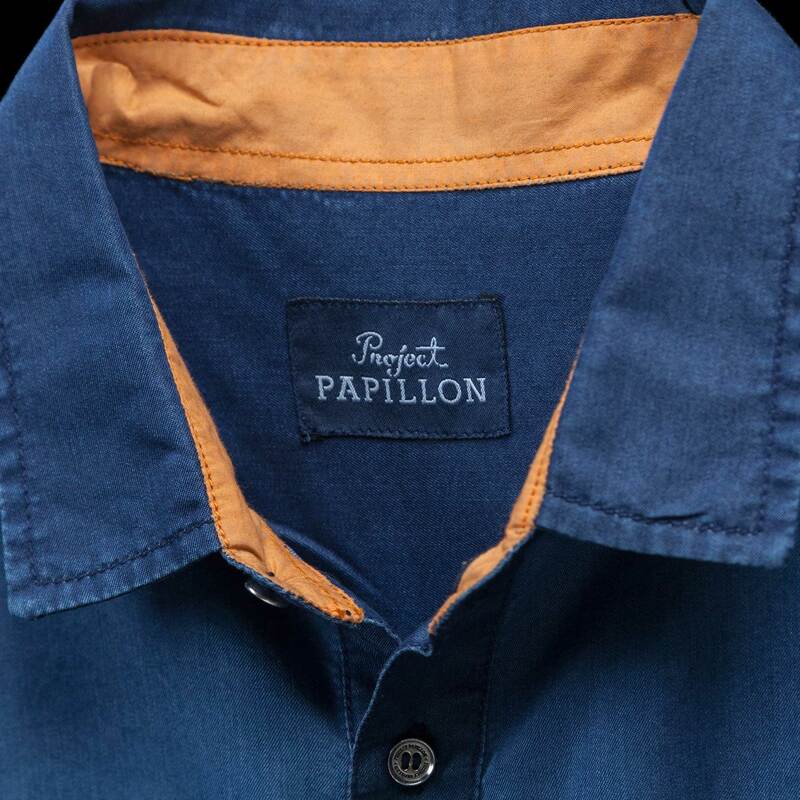 Simple cuts of utility wear, light weight organic cotton denim, and county orange finished details make this piece of fashion at once stylish and comfortable to wear.